Dubai, UAE, November 12, 2016: NIA Limited, a Dubai-based enterprise dealing in Home Appliances and HVAC solutions, has opened a sprawling new headquarters in Jebel Ali Free Zone area. The brand new facility will function as the design, marketing and logistics centre for the Company’s marketing and warehousing requirements. “The launch of this facility is an important step forward in NIA’s strategy, strengthening our competitive position in the Middle East and Africa region. Our new facility will house 14,000 square metre of office space, 3000 sq. m of office area, and a warehouse spanning 9,000 square metre,” said Managing Director of NIA Limited UAE - Mr. Zakir Ahmed. The new facility will offer a wide range of services including a technology centre displaying the latest developments in air conditioning, an Academy for Training & Certification of Engineers, as well as Logistics and Operations, with total storage capacity of 100,000 units. “As of 2016, NIA Limited serves over 100 accounts in the UAE, including key accounts with turnover exceeding AED 15 million. The launch of this new facility will create greater growth opportunities, help the Company expand its reach to the Construction and Retail channels within the coming year, and achieve a turnover of AED 500 Million in the next 2 to 3 years. We also aim to expand operations from CIS to Africa in the future,” added Mr. Ahmed. 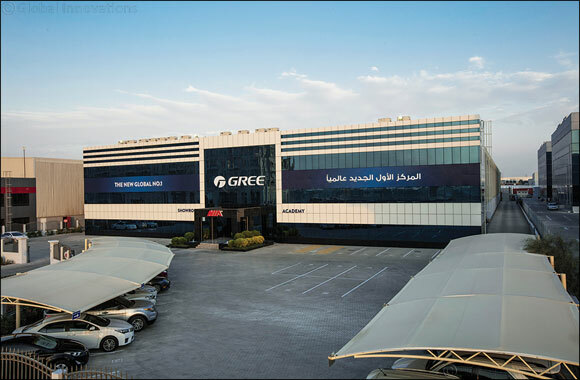 NIA Limited, which markets and distributes a broad range of residential and commercial air conditioning systems and components, is the authorised distributor for GREE air conditioning units in UAE and Iran with re-exports to neighbouring markets. GREE is the largest specialized air conditioner manufacturer in the world. From a humble beginning of 2400 units in 2004, the sales volume of GREE has crossed a milestone of 750,000 units as of mid-May 2016. “With the launch of this new facility, we aim to increase GREE’s market share to 20 per cent with sales of 175,000 units in the UAE, by benefiting from being closer to our key markets and meeting customer demands quickly and efficiently,” Mr. Ahmed concluded.